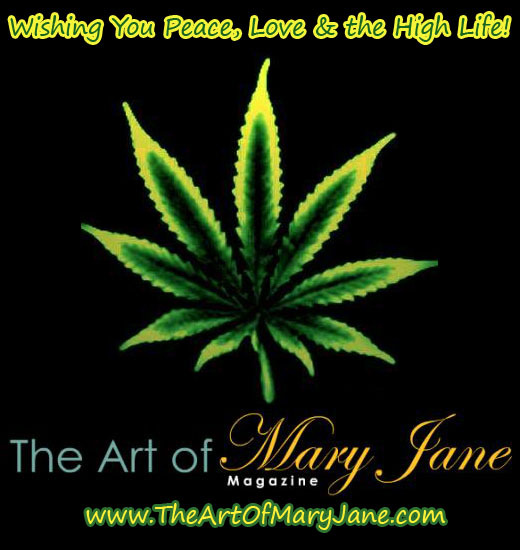 This excerpted article appeared in the August, 2001 issue of The Art of Mary Jane Magazine, the premier magazine of cannabis culture and Mary Jane girls. If you’re interested in reading more articles like that, we invite you to subscribe to our magazine today! Seeds have many benefits; the most helpful is that they do not introduce pests or problems into a garden like clones can. Another benefit seedlings can provide is health a nd vigor since sometimes clones can be old, tired, or even diseased without it showing visibly. When you start good hybrid cannabis seeds, you get to select a taste and effect that is more customized to your needs. Many growers opt for feminized seeds since less selection and space is required to find a female plant worth keeping, but I feel the seed industry is partly to blame for heavily advertising feminized seeds as the easy way to grow. I have found nothing in life that is easier, and anytime you put in more hard work and effort, the results are always worth the extra details. The male plant is very important in breeding and many traits such as pest resistance, fungus resistance, and even potency are passed on from the male of the species. The main reason people choose feminized seeds over regular seeds is space constraints. I have found many elite plants by starting just five seeds and selecting the best female, not only with TGA seeds but other breeders’ as well. When selecting seeds, do some homework online and find out what real medical growers are actually raising in their gardens and not what’s being advertised by the Dutch re-sellers. Make sure you’re selecting based on grower feedback and not some huge advertisement or some fixed cannabis competition. While TGA seeds have an excellent reputation among medical growers, there are many talented breeders who not only care about their product but test extensively to ensure quality. Most are smaller breeders who cater to the medical community, however. Feminized seeds are notorious for containing high ratios of hermaphrodites and to an inexperienced grower these can wreak havoc among your sinsemilla crop. You would be surprised how many veteran growers have problems with getting seeds started. The most common mistake is to use a heat mat, which cooks the seeds. Cannabis is a weed and, as long as the seeds are viables, it’s hard to prevent them from germinating. I have had seeds germinate under the floor mat of a car in my youth and recently some of the seeds I deemed not viable germinated under my BBQ grill in gravel in cold winter. I see people soaking or treating the seeds in God knows what products and I just shake my head. All a seed needs to germinate is moisture and a temperature range between 50-90 degrees Fahrenheit and you’re good to go. There are other factors involved, though, and if you germinate your seeds between 70-80 degrees you will have a better ratio of females. Warmer temperatures tend to produce more male plants. We can type until our fingers fall off, praising the many uses of cannabis as a medicinal aid. It makes us happy to know that some in the medical community haven’t given up hope on getting cannabis approved for legitimate use. GW Pharma, a British company, is currently seeking FDA approval for a cannabis-based mouth spray used in the treatment of oral cancer. If such a product is approved, it could change the game for legalization altogether. When you think of how the byproducts of marijuana like THC and cannabidiol can relieve pain in patients, there’s no telling how we can work to improve the overall health of this country. How amazing is it that we are sitting on something amazing yet do nothing about helping people who truly need it? We will definitely be watching the progress of this drug for FDA approval, and hope the government does the right thing. This article is an excerpt from “Tips to Passing Your Wiz Quiz,” as read in The Art of Mary Jane. The Art of Mary Jane believes no one should be forced to undergo urine testing, especially for marijuana. Aside from launching a legal challenge, your best defense against urine testing is to be clean. Unfortunately, this may be difficult since urine tests can detect marijuana 3-10 days after a single use, and 4-6 weeks or more for heavy chronic users. If you are in the job market, it is prudent to expect to be tested and avoid marijuana. However, recognizing that many of you face drug testing on short notice, we offer the following advice for emergencies with our best wishes (but no promises!). The general strategy for passing urine tests is to increase your fluid intake and urine flow soaps to dilute the concentration of THC metabolite in your urine below the threshold of detection. In the days or hours preceding the test, you should wash yourself out by drinking plenty of fluids. Water is fine – contrary to popular rumor, drinking vinegar doesn’t help. You can boost your fluid output by taking diuretics, which stimulate urination. The most potent diuretics are prescription drugs, widely used for high blood pressure. Weak diuretics of dubious efficacy are found in certain over the counter products, such as premenstrual pills for water retention. Contrary to rumor, phenylpropanolamine, the active ingredient in Dexatrim, is not a diuretic and is likely to make you test positive for amphetamines. The night before the test, drink lots of liquid – as much as you can stand. Be sure to empty your bladder the next morning, since urine that accumulates overnight tends to be “dirty.” Prepare for the test by loading up again on lots of fluids. Boost this with a diuretic if possible. One slight hitch with urine dilution is that some labs are suspicious of the clear, watery urine it produces. You can fix this by taking 50 or 100 milligrams of vitamin B-2 (available in B-Complex vitamins) which will color your urine yellow for a couple of hours. Contrary to popular rumor, Vitamin C doesn’t help. If you are lucky and didn’t smoke too much pot, a good washout may get you past a test on a weekend notice.